With 2017 being a great year for Wilmington real estate, we thought it would be a great time to give a quick recap of some year end statistics on the Wilmington real estate market. Although we offer ongoing, very detailed Wilmington Market Statistics that can be viewed at any time, those stats are updated every Monday and do not look at the full year. In addition, because many real estate statistics can be confusing, below we provide a quick explanation of what is being measured and the effect on the marketplace. 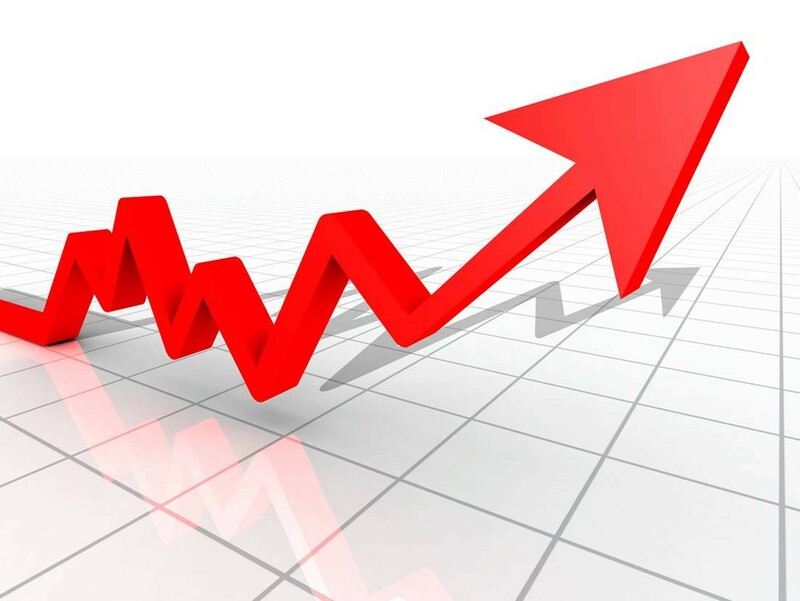 One of the most commonly referred to real estate statistics is the Available Inventory. The reason this real estate metrics is relied on so heavily is it’s a good barometer of the overall supply and demand for housing for a specific area. When the available inventory is low, that generally dictates a high demand for homes for sale. A “balanced market” generally has between 5 and 7 months of available inventory. To truly understand how long it takes to “sell through” the current inventory – you need to look at the rate of sales per month. When available inventory is looked at by the “months it would take to sell through” that is referred to as “Absorption Rate”. What that means is if no new properties were to be listed, it would take between 5 and 7 months to sell through the current inventory at the current rate of sales. When Reviewing the Absorption Rate – The Current Available Inventory for Wilmington Is Around 3 Months. 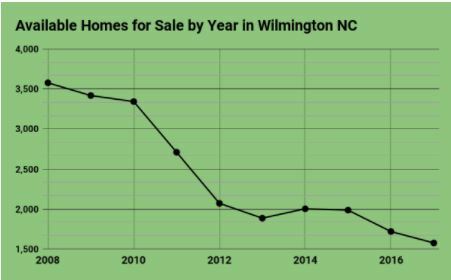 The inventory of available homes in Wilmington NC is at a 10-year low, and that is pushing home prices up and driving a sellers market. Many people are under the impression that when we see a “sellers market” that means it is not a good time to buy….that is not always the case! When purchasing a home in a seller market, although the home prices are rising, that means that you are buying into growing real estate market. In addition, with mortgage interest rates still historically very low, but anticipated to rise over 2018; buying a home in Wilmington right now may be the most cost effective decision for buying a home. For instance, on a $350,000 home, if the mortgage interest rate goes up by 1%, your monthly payment would increase by approximately $200 per month. That $200 per month represents a $40,000 difference in the sales price of the home! Needless to say, these are very rough estimates and many factors affect your monthly payment; but we did want to give an idea of the effect of interest rates and how that directly correlates to the sales price of the home you are purchasing. How Many Homes Were Sold? Overall there were nearly 5,000 homes that were sold in New Hanover County in 2017. This is rapidly approaching breaking the record of 6,500 homes that were sold at the top of the last housing bubble in 2005. Inventory of available homes hovered around 3,000 a decade ago, but has since dwindled and in 2017, the average monthly inventory was 1,576. This means higher demand with less inventory for buyers to choose from. Wilmington’s Hanover County is the second-smallest county in North Carolina by land area, the effect is pushing home values up and making it much easier for those looking to sell their homes quickly. The best REALTORS in Wilmington agree that the inventory in New Hanover County is low and people are having a harder time finding a home to buy. This could drive potential home buyers to start looking in Pender and Brunswick counties with more homes to choose from. Although a tight market for buyers, the trend is definitely good for anyone looking to put their house on the market. There were many years when Wilmington was a buyers market but, the tables have turned and seller’s are now the ones benefiting. Historic New Hanover County is located at the southern tip of North Carolina. The county is bordered by 31 miles of beautiful Atlantic shoreline on one side and the tranquil Cape Fear River on the other. New Hanover is fastest growing county in North Carolina. Minutes from some of North Carolina’s most beautiful beaches, Wilmington boasts one of the state’s largest historic districts with 230 blocks of homes and a downtown business district with a thriving arts community and hosting a plethora of restaurants, shops, museums and tourist attractions. The historic downtown area of Wilmington continues to grow with the expansion of the business district and the new convention center and marina as well as state-of-the-art medical facilities and headquarters to a growing list of corporate entities. The University of North Carolina at Wilmington, as well as the Cape Fear Community College and Miller-Motte Technical College are also all located within the county. Adding to it’s appeal, Wilmington is surrounded by island communities such as Carolina Beach, Kure Beach, Fort Fisher, and Wrightsville Beach each of these island communities offer pristine sandy beaches and a variety of activities for nature lovers, anglers, mariners, and water sports enthusiasts. The boardwalks, piers, and marinas these communities offer reflect the spirit of coastal America. Learn more about work, travel, education, medical facilities, lifestyle, leisure, retirement and real estate in the City of Wilmington, New Hanover County, North Carolina.